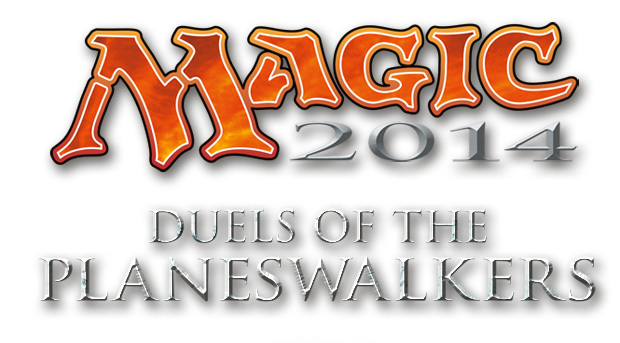 Magic 2014: Duels of the Planeswalkers was developed by Stainless Games and Wizards of the Coast and published by Microsoft Studios. It retails for 800 MSP and was released on June 26, 2013. A copy was provided for review purposes. Magic 2014: Duels of the Planeswalkers (Magic 2014) is the fourth edition of the popular series to grace the Xbox 360 and unsurprisingly, it delivers new cards, new features (including a sealed play mode) and an all new campaign mode. Like any annual release such as FIFA or Madden, your decision to buy (or not to buy) Magic 2014 will largely depend upon factors related to whether or not you actually enjoy the core experience and what value the new features provide over previous iterations. 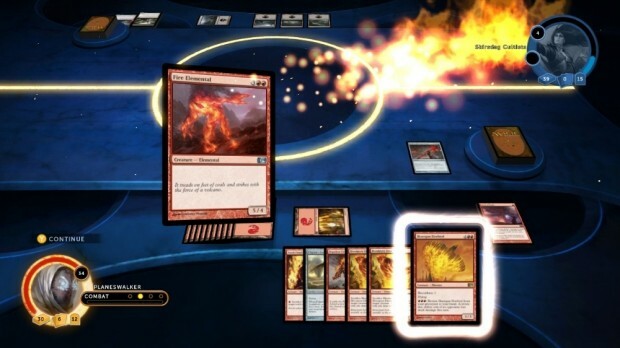 The Duels of the Planeswalkers series (DOTPW) is designed to provide a fun and cost effective gateway for new players to enter the Magic The Gathering (MTG) arena, and Magic 2014 carries on that tradition admirably. MTG is a complicated card game which features a basic set of rules for placing cards (spells) onto an imaginary battlefield. Each spell costs a set amount of mana, which is in turn generated from the placement of land cards. The real skill of MTG is found in building a deck of cards which complement each other well enough to overcome the opposing deck and reduce your enemy’s health from twenty to zero. 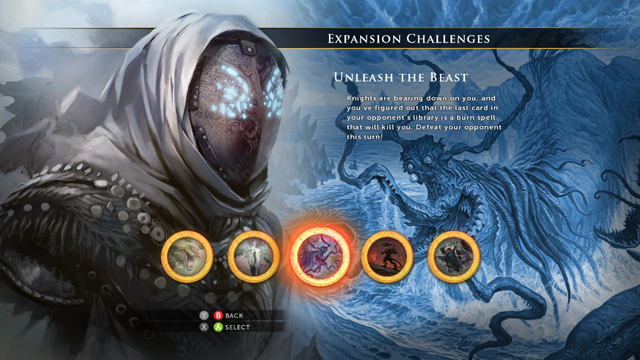 Magic 2014 explains these complex mechanics through a series of simple tutorials positioned before the main campaign, and then with helpful text boxes from then on. 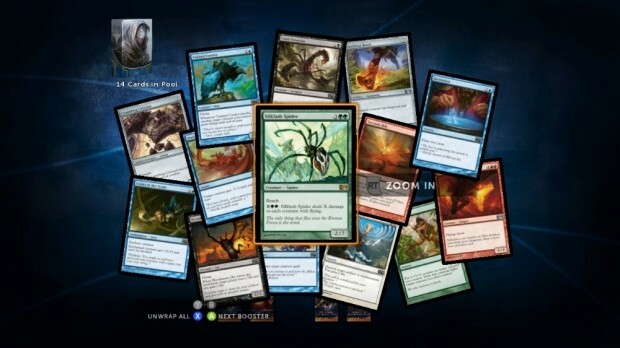 For veterans of the DOTPW series or those who have strong knowledge of MTG in general, Magic 2014 provides the most feature rich installment to date and we are pleased to report that all of the new features enhance the overall experience without detracting in any way from the core gameplay. Sealed play – Previous iterations in the DOTPW series have featured various single and multiplayer modes, but what really sets Magic 2014 apart is the introduction of sealed play. In this mode, players are challenged to ‘open’ six semi-randomized virtual booster packs (each containing fourteen cards) and to build a forty card deck with them. This mode makes a fantastic addition to the series and requires a much broader skillset than simply playing a pre-built deck. Players need to carefully consider the number (and color) of lands to take, how many creatures to use vs spells/enchantments, what kind of card synergies are available and more, based on the cards they have opened. To give this mode longevity, Stainless Games have sensibly provided a sealed deck campaign, which features the opportunity to open more decks further down the line. The game allows two sealed decks to be built (a third slot can be purchased for 80 MSP) and features a very respectable deck management screen for organizing cards by rarity, color and mana cost. Sealed play is inherently more challenging than when using a pre-built deck because combinations are harder to achieve, but when you pull off a homegrown win condition, boy does it feel good! New campaign mode – Although the new campaign mode is probably aimed at drawing in less experienced players, we also feel that it does a great job of tying together the encounter s which quietly featured in DOTPW: 2013. 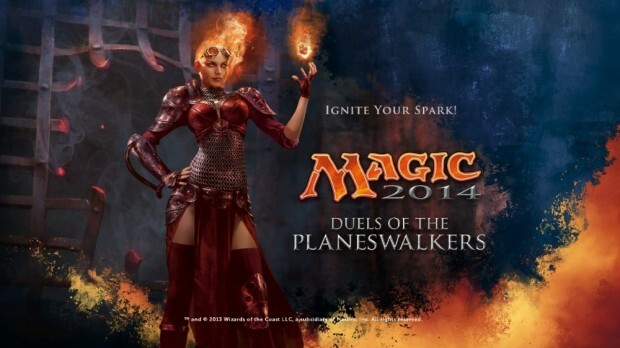 In the campaign, players follow the story of popular Planeswalker Chandra Nalaar. Chandra is busy chasing an elusive foe across five familiar planes (Ravnica, Innistrad etc) and although the story is quite light, each encounter is tailored to the specific kind of enemy that is expected from a given plane – be they undead, human, mutants or whatever else happens to lurk there. This mode is especially enjoyable for those players who don’t just want to win games, but who also enjoy the rich and detailed lore that comes with the MTG world. The game doesn’t just throw tough matchups out like cheap filler; it presents story-contextual encounters out that make sense based on what is happening. Considering Magic 2014 is based on a collection of cards which actually exist in real life, we don’t think that’s bad going at all. New decks, good old magic – Everyone wants more of the things they love, right? Well, when the new sealed and campaign modes are set aside (and forgetting the new music, graphics and presentation) then Magic 2014 is basically the same game as its predecessors (especially DOTPW: 2013) but with ten new decks. Like DOTPW: 2013, Magic 2014 features a good selection of decks and all the popular archetypes are covered here – red decks with lots of burn, white decks with lots of weenie tokens, blue control decks, big green decks and black decks full of nasty zombies and vampires! Also, let’s not forget that Magic 2014 features the first ever Sliver deck to appear in a DOTPW title. For those who don’t know, Slivers are kind of a big deal in the world of MTG and feature a cool buff mechanic which means that the more you have in play – the tougher each member of the hive becomes! Presentation – Magic 2014 features entirely new music, flashier graphics and even animated cards, not to mention full motion video to drive the story along. These things are all fine and actually, the experience has changed very little from previous versions of DOTPW – which is a good thing. That said, the new menu system (which delights where sealed deck management is concerned) is disappointing when it comes to navigating the new campaign menu. Choosing planes is handled weirdly, as is deciding whether or not to continue playing story encounters or choosing to duel a Planeswalker, with the default selection on some screens being to choose the duel, when actually you might have been expecting to select an encounter – it’s not major, but it’s annoying. Similarly (and more annoying) is the fact that once inside a plane, then having chosen an encounter, there is no option to jump to the deck builder from the deck selection screen. This means that players have to navigate back out, change the deck, then navigate back in again. Considering that each encounter victory results in a new card, and that the optimal MTG deck will almost always be sixty cards exactly, this often results in a lot of back and forth just to remove one card. Magic 2014 does things right. For fans of MTG in general there really is no reason not to buy the game right away. There will be folks out there thinking that this version is too similar to the previous offerings and that not enough has changed, but actually the annual (or even quarterly in real life) cycling of new sets of cards is exactly what MTG is all about, so for us the release of Magic 2014 makes total sense and represents good value simply for the basic content at 800 MSP, let alone the new sealed play and beefier campaign mode. 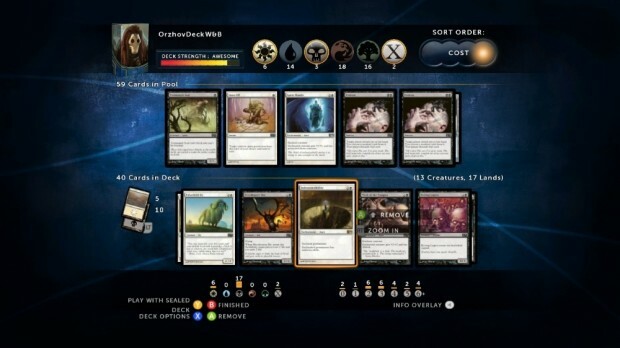 Both single and multiplayer options offer a wealth of content which will keep players occupied for hours, and whilst sealed play may not quite be the draft mode which some veteran MTG players were hoping for, it offers a real variation on the prebuilt deck model which we have become used to. It’s also an excellent introduction to the more complex kinds of play for those intermediate players (like some of the team here at XBLA Fans) who actually began playing MTG on their Xbox and have since graduated to live play. In summary, if you like any form of MTG (including previous DOTPW’s) or if you are interested in trying it for the first time, then just like last year – this version is the definitive one to go for!